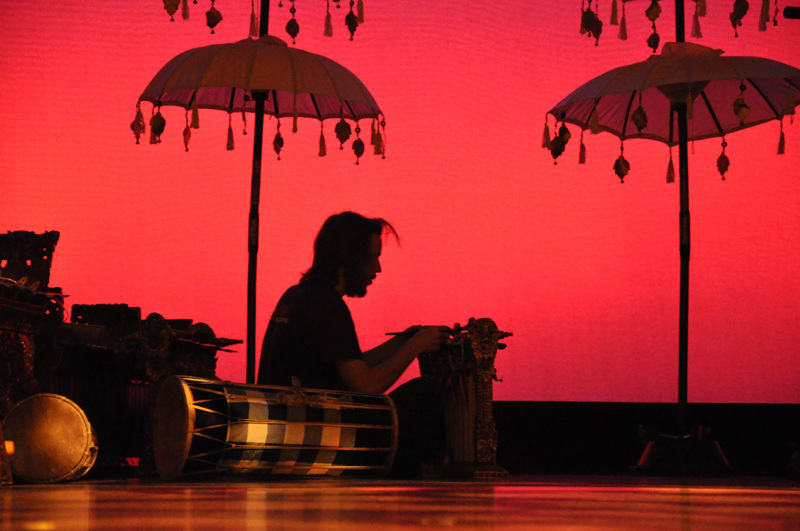 Daniel Martin of Gamelan Raga Kusuma plays gender wayang. Photo by Ron Karnes. Additional spin-off groups perform experimental and avant-garde music, including transcriptions of works by composers such as John Cage and Gyorgy Ligeti, on various instruments.